Design your own unique bracelets, necklaces & more! *Flocked surface helps prevent beads from rolling. 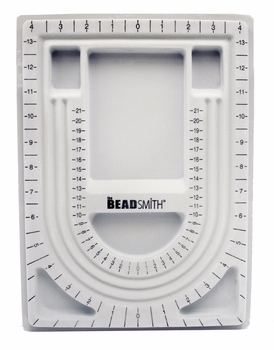 *Six recessed sections for sorting beads & findings. 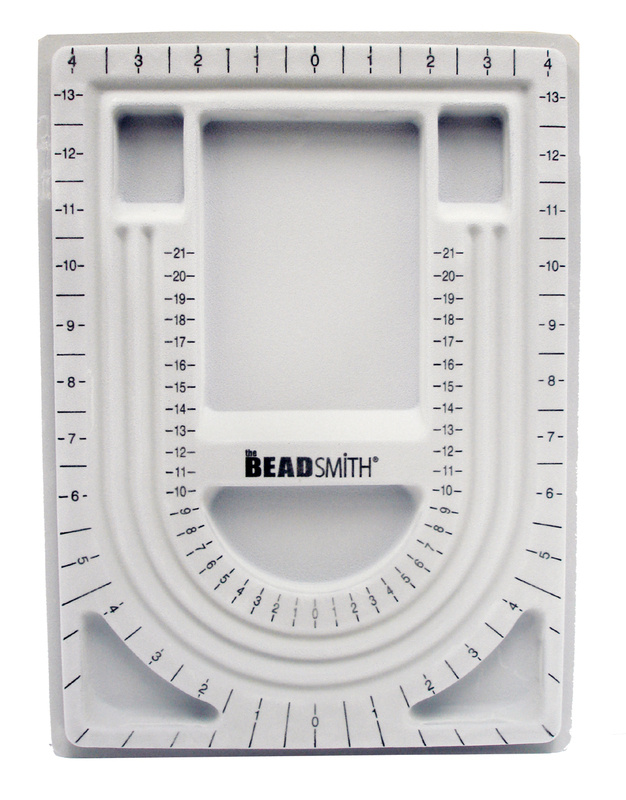 *Three U-shaped Channels with measurements allow you to arrange jewelry designs. *Measures approx. 9.5"x 13"